Rally reports are published in JRA Magazines which can be download here (for members only, pdfs). They are also here (for members and non-members, as individual pdfs). Annie Hill organised 'junkets' in the Hauraki Gulf, Havelock, Bay of Islands, Waikeke Island and Whangerei from 2011 to 2013. Norwegian rallies were held in early August at Hundvag, just outside Stavanger, in 2004, 2006, 2008 and 2010. Arne Kverneland did the bulk of the organisation, but decided not to continue them as they were demanding of his time and he preferred less structured and less formal get-togethers. He has and will always ensure that ‘junkies’ receive a very warm welcome. East Coast Rallies were held in mid July on the Blackwater at Bradwell Creek, Essex. UK Summer Rallies were held in May or June, alternating between Warsash (near Southampton, Hampshire) and Plymouth in Devon, with an occasional visit to Falmouth in Cornwall. The 2012 event was in Plymouth. The Annual General Meeting of the Junk Rig Association was traditionally held at the main South Coast rally. In 2012 and for the first time there was another Summer Rally in Ashlett Creek, Southampton. A rally was, for many years, held at the end of August or early September at Kippford on the Solway Firth. 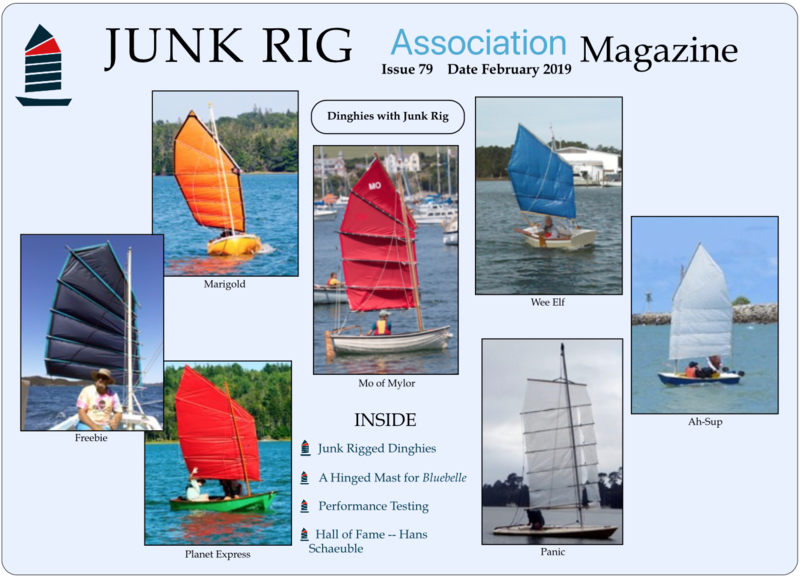 A group of junk rig sailors sometimes hosted one in July at Holy Loch on the Clyde. Rallies were held at Caernarfon on the Menai Straits. Rather than organise a rally in one location, in 2013 Daniel Collins organised a 'rolling junket' as he sailed north towards Nova Scotia. He hoped to meet up with fellow junkies - and he did! Reports before 2011 do not include photos. Photo albums for those years are listed separately.